You’ve read every self-help book out there about the teachings of The Universe, manifestation and the law of attraction but everything in your life still feels like it’s crumbling. It’s like no matter what you do or say, you just can’t catch a break. You’re starting to feel like all of the things you’ve read are fictitious stories made up by people for profit, and nothing more than a pipe dream. I completely understand where you’re coming from because I’ve experienced your same frustration. 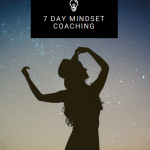 When I first started learning about manifestation and the law of attraction, I read every book I could get my hands on, and immediately began to turn my learnings into practice. I had small successes and ah-ha moments, but I still felt like there was a piece of the puzzle I was missing. I was practicing all that I learned, and still struggling to bring my dreams into fruition. For me, this was one of the hardest lessons to learn. I wanted to control every aspect of how my dreams came into fruition, and leave nothing to chance. But, this isn’t how The Universe works. Instead, the how is the domain of The Universe, and your job (after you ask for what you want) is to let go, believe and let God. Now, this doesn’t mean you just send out a request into the ethos like, “I want a million dollars” and expect a million dollars to land on your doorstep. Taking action IS part of what you need to do to get to where you want to be (we’ll cover this more in #5). If things aren’t going exactly as you want them to, remember to have faith and believe never stop believing. You’ll eventually get what you want, usually in a way you never imagined. So, you’ve been practicing this manifestation thing for a few months (or years) and feel like it’s taking forever to get what you want. I completely understand. But, mastery takes time. Think about your favorite athlete, actress, author or anyone else you admire for their achievements— they didn’t get to where they are now by giving up. Instead, against whatever obstacles they faced they kept on moving forward, never giving up or losing faith. If you want to manifest something in your life and it doesn’t happen immediately, don’t give up — persist, and eventually, you will have everything you desire and more. It’s great to say daily positive affirmations, and think positive thoughts. In fact, these practices are powerful because when practiced regularly, they re-program your subconscious mind. But, positive thinking alone isn’t enough. You also have to feel good, and many times this is the missing element when it comes to manifestation. For example, let’s say you want to attract your dream partner into your life and you imagine all of the qualities this person will have, how they’ll treat you and the things you’ll do together. But, every time you think about attracting this person into your life, you don’t feel like it’s possible. So rather than feeling as though you already have what you want, and believing you deserve it, you instead feel like it’s not possible for you. 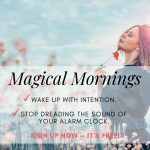 This is an example of misaligned thoughts and feelings, and it’s something many of us are guilty of — especially when it comes to manifesting the things we want. We are all living in an infinite world, with infinite possibilities. If one door closes (or doesn’t open for you), look around and you’ll discover an abundance of other doors waiting for you to try them out. Things are rarely as black and white as they seem, and when it comes to manifesting your desires you need to be flexible and open to possibility. There are countless ways the things you want can come into fruition, but if you’re closed off you’ll never be able to welcome them into your experience. Stay open and alert, the world is a magical place. Have you ever heard the parable about the man who was trapped in his flooding home? “A man was trapped in his house during a flood. He began praying to God to rescue him. He had a vision in his head of God’s hand reaching down from heaven and lifting him to safety. The water started to rise in his house. His neighbor urged him to leave and offered him a ride to safety. The man yelled back, “I am waiting for God to save me.” The neighbor drove off in his pick-up truck. When it comes to manifestation, many of us are like the man in this story. We send out a request, sit back, and inactively for it to manifest. But, when we do this, we miss out on all of the ways The Universe is trying to bring us what we want (remember — you don’t control the how and you have to be open to possibilities!). Take action, the masterpiece of your life can’t be created without your assistance. If you want to write a book, then start writing! If you want to be an actor, take classes and go to auditions! If you want to go to college, apply to universities! Don’t sit back aimlessly waiting for life to happen to you, be an active co-creator! Don’t lose sight of what you want because it’s taking longer than you’d like to come to fruition, or because you can’t understand how it will come to be. Focus on the end result of what you want, and remember to enjoy the journey as you go! Life is not meant to be a destination, it’s meant to be an experience — so experience yours every single minute of every single day! Self-limiting beliefs, doubt, and negative thoughts and feelings are self-created roadblocks of manifestation. Believe in yourself. You are worthy and deserving of living the life you want to live! By learning these 7 lessons, you’ll be able to enjoy the manifestation process rather than being frustrated by it!